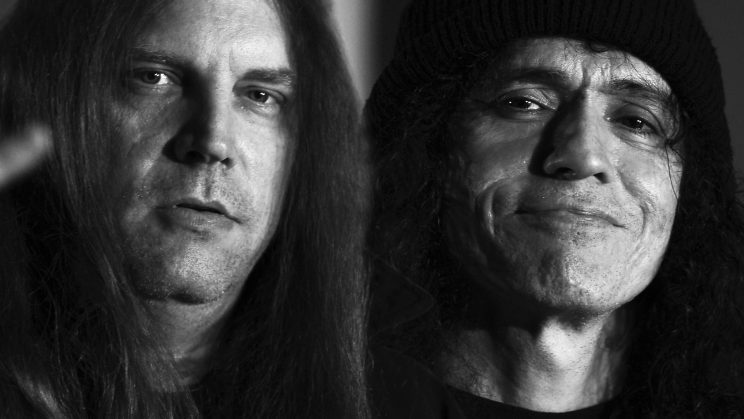 Here’s not just a new episode but this time we have a pretty exclusive one: Terrorizer’s Pete „Commando“ Sandoval, ex-Morbid Angel drummer and the so called Grandfather of Blastbeat and fellow drummer Lee Harrison who drums in Monstrosity and plays guitar in Terrorizer are veterans and inventors of extreme drumming, but haven’t had the opportunity to talk in-depth about their craft yet! Furthermore here are not only many clips from their Terrorizer show but also clips of Lee’s recording of the as of yet unreleased Monstrosity album after 11 years of silence (!) but also unreleased bits of Lee’s solo project Lavoizen and from his recent liveshows with Obituary where he filled in for Donald Tardy! WATCH IT NOW!! !